LastPass Authenticator app for Android, iOS and Windows Phone launched. LastPass today launched LastPass Authenticator, a free two-factor authentication app for your LastPass account and other supported services. LastPass Authenticator is a free mobile app available today on the app stores for Android, iOS and Windows Phone. 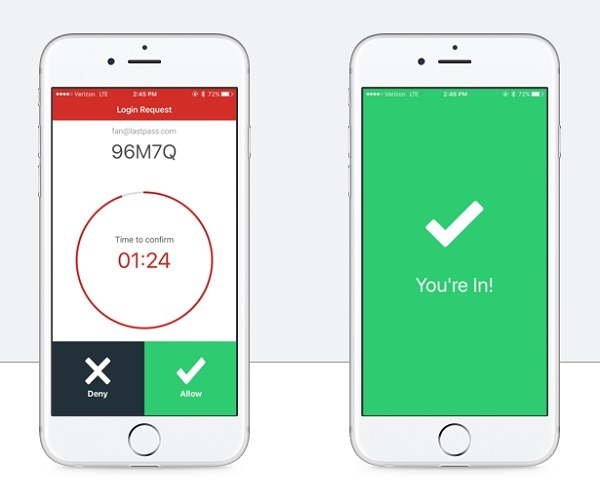 LastPass Authenticator offers simple, secure two-factor authentication by generating 6-digit, time-based passcodes or sending you a push notification for one-tap login to LastPass. With a user-friendly experience, simple set-up, and convenient push notifications, LastPass Authenticator is an ideal option for you to boost your security. LastPass was one of the first password managers to offer two-factor authentication integration and it currently support 15 different options. Now it's adding another option that's convenient and easy for LastPass users! Enjoy a better experience: LastPass Authenticator offers user-friendly, secure two-factor authentication with simple set-up and one-tap login to LastPass. You choose how to login: The app supports 6-digit generated passcodes, SMS codes, and automated push notifications that let you approve or deny a login in one tap. Use it with more than LastPass: Enable LastPass Authenticator anywhere Google Authenticator is supported. Leverage what you already have: You always have your smartphone with you, so there’s no need to keep track of extra devices. Add more security: Protect from man-in-the-middle attacks by utilizing a different channel than your primary authentication (where your username and password are submitted). Getting started with LastPass Authenticator is fast and simple! LastPass Authenticator is a free mobile app available today on the app stores for iOS, Android, and Windows Phone. 1.Head to the app store on your mobile device and download the app. 2.On your desktop or laptop, login to LastPass and open your vault. 3.Launch "Account Settings" from your vault. 4.Under "Multifactor Options", edit LastPass Authenticator. 5.Follow the prompts on your screen, view the barcode and scan it with the LastPass Authenticator app. 6.Set your preferences and save your account changes. 1.Open the LastPass Authenticator app to generate a 6-digit, 60-second code or approve the automated push notification or send yourself a code via SMS. 2.Enter the code into the login prompt on the screen or approve the authentication request. Note that push notifications are available for logging in to LastPass accounts only. LastPass Authenticator is also TOTP compliant, meaning it's compatible with all apps and websites that support Google Authenticator like Facebook, Dropbox, Evernote, WordPress, and many more. That means you can conveniently manage two-factor authentication for multiple services, all from LastPass Authenticator.